Once again UCL students have come out in force at the Target Jobs Undergraduate of the Year Awards with 6 shortlisted students and 2 winners! These annual awards have 12 categories, sponsored by major employers, with each category having 9 or 10 shortlisted students. Prizes include work experience, international trips, i-pads and chances to spend time with top executives in the sponsoring company. Needless to say, they are very competitive – 3,553 students applied this year and after filling in the application form, they had to go through aptitude tests, an interview and assessment and a final centre. “To be shortlisted for the Target Jobs Undergraduate of the Year Awards is a great achievement and congratulations go to Anna, Benjamin, Cara, Daniel, Harrison and Vaibhav. In addition, to have two winners is absolutely fantastic. The Undergraduate of the Year Awards are extremely prestigious and hopefully UCL’s performance this year will encourage other students to apply in the future.” -Karen Barnard, Director of UCL Careers. Harrison wins an internship with L’Oreal (sponsor) including one week in Paris at their Headquarters and 2 days with members of L’Oreal Senior management Committee. Cara wins a place on Mayer Brown’s (sponsor) summer vacation scheme plus Apple iPad. 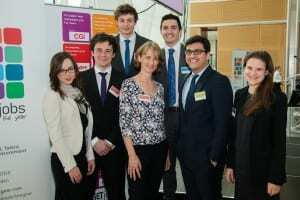 Congratulations to our winners, the UCL students who were shortlisted and all who applied. This year’s cohort continues what is becoming a fine tradition in UCL with previous winners and shortlisted candidates over the past 6 years. IT & Technology is a broad sector which encompasses a multitude of roles and types of companies. In addition to the programming and developer roles typically associated with the sector there are also a wide range of other positions: project managers, business analysts, consultants, salespeople. For these roles, employers state that deep technical knowledge is often not initially required; what is important is an interest in technology, a desire to learn and possessing business-orientated skills such as communication and project management. Melanie Baldo graduated from UCL in Italian and Management Studies and is now a Project Manager at Bloomberg. Melanie states: “I never for one minute imagined when I graduated with a degree in languages that I would be working for a financial data company running some of their most complicated and important projects with high profile clients.” Whilst in the Technology sector, Melanie’s role focuses on client relationships and project management and she encourages students from non-technical backgrounds to apply. Many technology based roles do not require a technology background and companies often provide training for these positions. The UCL IT & Technology Fair gives you the opportunity to discover how IT & Technology underpins business and the diversity of opportunities available. The IT industry is continuing to expand rapidly. Employment opportunities are continuing to increase at all levels and in different industry sectors. Employment in the IT sector is expected to grow at 2.19% a year, almost 5 times faster than the predicted average growth for the UK. Increase in use of personal devices – this means a greater need for IT and telecoms professionals who are able to understand the vulnerabilities of underlying architecture and infrastructure and to develop new security solutions. Development of sustainable IT to minimise the environmental impact of technology. Growth is predicted to be strongest in highly skilled areas – software professionals, ICT managers, IT strategy and planning professionals. Employers do recruit graduates with non-IT degrees into consultancy and business analysis roles, where they can apply a broad technical knowledge to commercial environments. More technical roles such as network engineers, software developers and programmers do require graduates with relevant technical degrees such as computer science, information systems and software engineering. Technical skills: programming languages, operations systems knowledge, network and infrastructure understanding and development skills. Research shows that employers want to attract high quality recruits to IT and computing, which means postgraduates, and specifically doctoral graduates, are very well placed to take advantage of this skills shortage. Doctoral study is not essential although it can provide an edge in an increasingly competitive job marketplace. A doctorate degree still needs to be supplemented by continuous personal skills development. It is predicted that the skills shift that is already taking place in the IT and computing sector from the UK to lower cost countries will continue to create challenges in terms of career paths and skills development. The engineering sector is similar to most others and it highly competitive. We’ve popped together some tips to help with the application process. First and foremost if you want an engineering graduate job or internship then you better get applying. Deadlines for graduate schemes and internships are different from those at university and applying early could give you a huge advantage. Although many jobs have ‘open’ deadlines or closing deadlines around the end of the year, it pays to take action in September and October as deadlines don’t tell the full story. Most employers assess applications as and when they are submitted. Many even hold assessment centres and make numerous job offers to early-bird candidates by the time the official closing date rolls round. This means that even though there are spaces left by the closing dates, there will be far more competition for fewer jobs. Don’t just look at big companies. By working for a smaller company you will often have more opportunities and responsibility than at a larger one. You’ll be amazed at the diverse range of smaller engineering consultancies that are able to offer graduates positions. If you can’t find work experience in engineering, try to find a role that enables you to develop and demonstrate key skills (leading teams, problem solving, negotiating, etc) which can then be transferred to engineering. While at university, get involved with as much as you possibly can while still maintaining a 2.1 level of degree. If you can demonstrate core skills that your degree probably doesn’t give you, you will be more employable. Apply when you are in a positive state of mind. Work on showing interest and passion. Create your own projects, follow your own processes, contribute to open source projects, etc. Apply for jobs you have a passion for, and ignore how much they pay. Your passion will show in your application/interview and you will be more likely to be successful. Do your homework into the particular sector you are interested in to give you an extra edge. Seek feedback from employers, especially after an interview. I found the most effective method to be phoning people rather than emailing as emails can be easily ignored! Make use of any contacts you have already in jobs or the sector you want to work in. Networking is important: attending careers fairs and presentations are good starting points. For more career advice, search for graduate jobs and internships in the engineering sector please visit TARGETjobs Engineering. The UCL Careers Engineering fair on Monday 13th October is kindly sponsored by Targetjobs Engineering. Ever wondered what types of exercises are used at assessement centres for engineering graduate jobs? Psst…. We have the answers. Assessment centres are used by most major recruiters as part of their selection process for their graduate engineering schemes. Although the content varies from company to company there are numerous common elements. Most assessment centres are designed around companies’ core competencies – the skills they need the most in their graduate engineers. Technical ability will obviously be tested, but be prepared to show your soft skills. There’s no point designing a brilliant new product or system if you can’t communicate the concept to colleagues, for example, or convince them of its potential value to the business. Giving a presentation: you may be given the topic in advance and it may be something like discussing a technical project you have been previously involved in. Other employers give the topic on the day itself. This will often relate to the business and may involve candidates doing fact finding or decision making. Most assessment centres include opportunities to chat to recruiters or current employers. Use this chance to learn more about the business. Enthusiasm, interest in the company and good manners will go down well. Don’t start comparing yourself to other candidates. Employers are marking you against their selection criteria, not against other candidates. Keep the employer’s selection criteria in mind throughout the event. Don’t shy away! However nervous you feel, remember that to succeed at an assessment centre you need to participate fully. If the assessors don’t see or hear anything from you, they can’t assess you. It is important to get your points across – but don’t be overbearing or rude. You will have various opportunities to demonstrate your skills, so if you think you’ve not done so well on one activity, put it at the back of your mind and move on to the next task. Finally, remember this is not just the employers assessing you; this is your chance to find out more about the organisation, and learn more about the values, structure and culture in the workplace. For the attention of logical thinkers! Logical algorithms associated with science and developed in the effort to make sense of the world dominate your thinking patterns. You are studying fascinating ideas, structured theories and new ways to apply old ideas. There is an Engineering Fair on and you probably don’t really feel the pull to go and find out what is going on. The comfort of your course and academic work is too cosy for you. The Engineering Fair is on because employers are looking for people like you. The world needs logical thinkers and problem solvers. They want to use your clear thinking to achieve results, your objective mind to highlight causes and effects, or utilise your lateral thinking to bring valuable perspectives to light. The options for you are endless. You can work in technology, management, retail, law and financial professions. In addition, many other specialist professions unrelated to your subject will be keen to harness your skills and train you. With so many choices, you have a challenge: which one to choose! Like many other decisions you have to make, such as buying a mobile phone or finding a place to live, the more investment of time and grey cells that you spend researching, analysing, reading and checking things out the more informed you will be to choose the right career option for you. The Engineering Fair is the kind of opportunity that you can utilise depending on your time investment and preparation. Make it your business to know their business and its relation to you. So don’t just come browsing mindlessly. Research the companies’ products, services and the overall industry. Look into the roles the companies offer and consider/ predict the roles that they are going to need in the future. Look at their industry and think of questions to ask to enrich your base knowledge. For your career planning, think of roles that you might be interested in, and then identify why you are interested and what goals you are trying to fulfil. Challenge yourself by asking difficult questions about how you will shape your future. Make notes of your thoughts and reflect on which ones can be used for discussions at the Engineering Fair. Use your talent to set targets to achieve at the fair in order to utilise this opportunity and draft a strategy to get the best out of the fair. You will be surprised when you finish your studies; networking opportunities disappear and will not be so readily accessible. You may wish you had made the most of these opportunities! 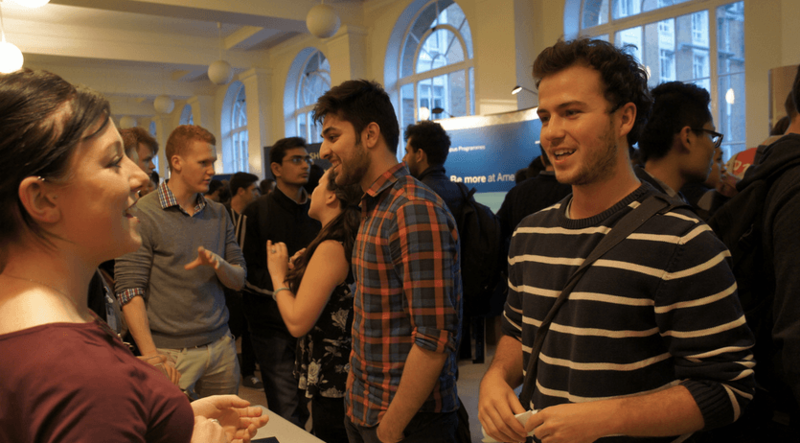 If you want to work for a great engineering company when you graduate or find out about internship opportunities, the UCL Engineering Fair 2014 is for you! The event will give you the chance to meet lots of employers that want to employ Engineering graduates. It will be a great opportunity to find out more about their companies, make contacts and see the breath of future career options. TARGETjobs (sponsor), AMEC, Centrica, Colas Rail, Fluor, Jaguar Land Rover, L’Oreal, Mot Macdonald, TFL, Thales and many more! Do I need to book to go to the Fair? NO! Due to the size and duration of each Fair, visitors can come and go as they please while a Fair is on so booking is not necessary. Please be aware however that the Fairs are very popular and entry to the exhibitor stands will be controlled to avoid overcrowding and entry to all Fairs is on a first come-first served basis. You may therefore be asked to queue on arrival and we thank you in advance for your patience. A valid UCL ID card (student, staff or GradClub member card) is required to gain entry into the Fair. If you don’t have valid UCL ID, you will not get in!